With the 6,000 square metre plant installing its first Westomat in 2007, engineers at Lenaal have always been strong advocates of the equipment, which they found to be reliable, efficient and easy to maintain. When the company decided to evaluate how future investments could be maximised, Lenaal had the perfect opportunity to gauge current levels of efficiency and explore whether it would be better to switch to pump-based dosing technology. A pump-based dosing furnace was installed at the foundry for real-life assessment against the Westomat. Having completed the evaluations, Lenaal concluded that Westomat had excelled rating and therefore solidified its position as the company’s dosing furnace of choice. 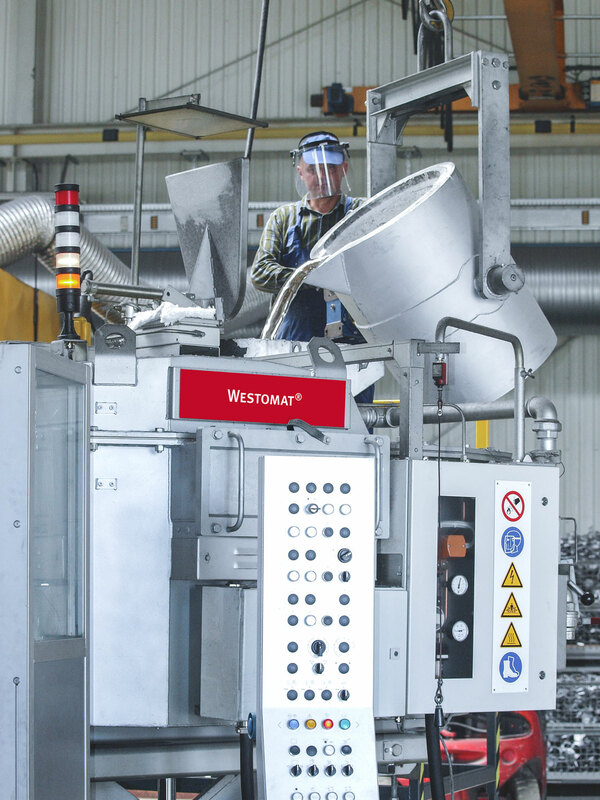 Lenaal then replaced the pump-based dosing furnace with another, brand-new Westomat from StrikoWestofen to meet current needs and help realise future ambitions. With live operations, genuine demands and actual customer orders to be fulfilled, all dosing technologies met the same conditions and faced the same challenges. Experts at Lenaal rated the dosing equipment based on system stability, melt quality and process reliability. Metal quality was of a particular importance as it directly impacts product quality and scrap rate. Theodoor van der Hoeven, Head of Research and Development at StrikoWestofen said: “When liquid aluminium meets air, oxides are formed making it important not to rupture the protective oxide layer on the surface of the melt during dosing. So for systemic reasons, the Westomat removes melt from below the surface of the bath. “In a dosing pump system by contrast, the liquid metal flows over an edge into the pump and is exposed to the atmosphere again. A transfer process into a pump is not necessary with the Westomat”. Having tested the Westomat against alternative dosing technology, Lenaal, which has trusted StrikoWestofen for many years and has two StrikoMelter melting furnaces, now has tangible as well as anecdotal evidence of the quality and lifetime value provided by StrikoWestofen technology. Tomasz concludes: “Not only does Westomat deliver on technology and reliability – the knowledgeable technicians at StrikoWestofen run a service so efficient that we can plan our maintenance to minimise downtime which leaves us free to focus on delivering quality parts to our customers.